I have met every child in each of the music classes now. I've introduced them to the growing array of instruments. If ever I wanted to have a messiah complex, this the best place to have one. 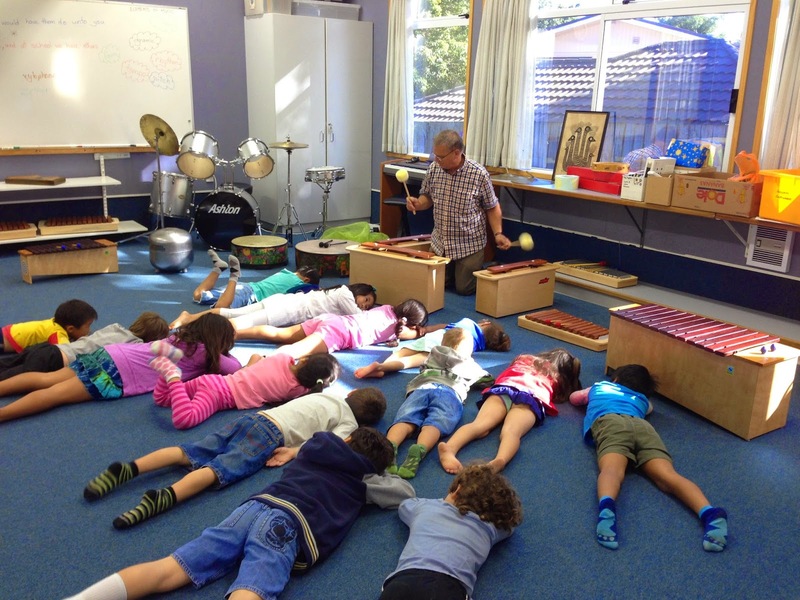 I've been encouraging the kids to 'FEEL' music as a whole body experience and not just through their ears. While this may look like they're idolising their teacher, they're not. I promise! You have to feel this sound rumble through your whole body. Yesterday we "un-boxed" our marimba made by Len Buchanan in Dunedin. What excitement that was. It was so hard to get the kids to go home after school. Luka even brought his family in to see the enormous instruments.